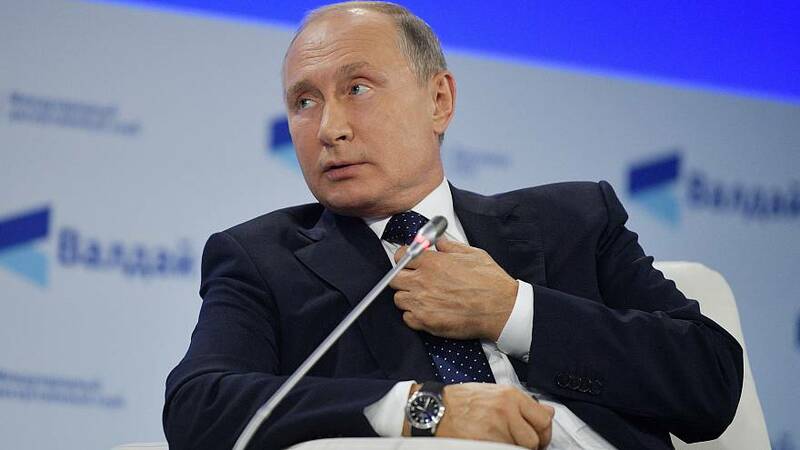 Russian President Vladimir Putin on Thursday blamed the previous day's attack in Crimea in on 'globalisation' and linked it to US school shootings. "It's a result of globalisation. On social media, on the internet, we see that there is a whole community that has been created," Putin said at a forum in the Black Sea Resort of Sochi. "Everything started with the tragic events in schools in the US. At least 20 people were killed and more than 40 were wounded on Wednesday after 18-year-old Vladislav Roslyakov opened fire and detonated a bomb in the Polytechnic College in Kerch, a city on the Crimean peninsula's eastern coast, before killing himself. Investigators later said they had found a second, unexploded bomb. The press dubbed the tragedy "Russia's Columbine" in reference to the 1999 school massacre in Columbine, in the US state of Colorado, in which 12 teens and one teacher were killed by two students armed with machine guns. Russian authorities initially opened a criminal case on terrorism charges before reclassifying it as murder and announced that although they were looking into the possibility of Roslyakov having had accomplices, they believe he had acted alone. Three days of mourning have been declared in Crimea as of Thursday. The peninsula was annexed by Russia from Ukraine in 2014. Attempts to dispute Russia's claim on the region are futile, Putin also warned on Thursday. "Crimea is ours. Why? It's not because we came there and snatched something...People in Crimea turned up to vote in a referendum and cast their votes to be independent and, as a next step, be a part of Russia," Putin said according to TASS. Crimea attack: was more than one person involved?